Team of TOHO Metal Industry Co.Ltd, Fukuda Metal Foil & Powder Co.Ltd. and KU-Magnesium research center have developed high-strength nanowire of KUMADAI magnesium alloy with the diameter of 0.03 mm. 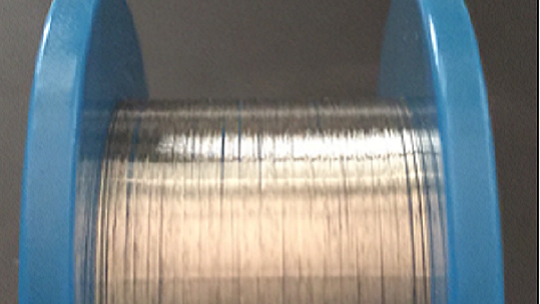 The strength of the nanowire, 788 MPa is much higher than conventional Magnesium wires (~600 MPa).